Setting the growth momentum for the upcoming festive season, Honda Motorcycle & Scooter India Pvt. Ltd. (HMSI) has created a new yardstick for success. India’s most loved scooter Activa has dethroned all motorcycle models to become the first two-wheeler to cross 1 million sales mark in just 5 months of this fiscal (FY’2015-16). With this Activa has become the largest selling 2W in Indian market from FY’16 till date. Today, Activa is leading the scooterization of the Indian 2Wheeler industry from the front. 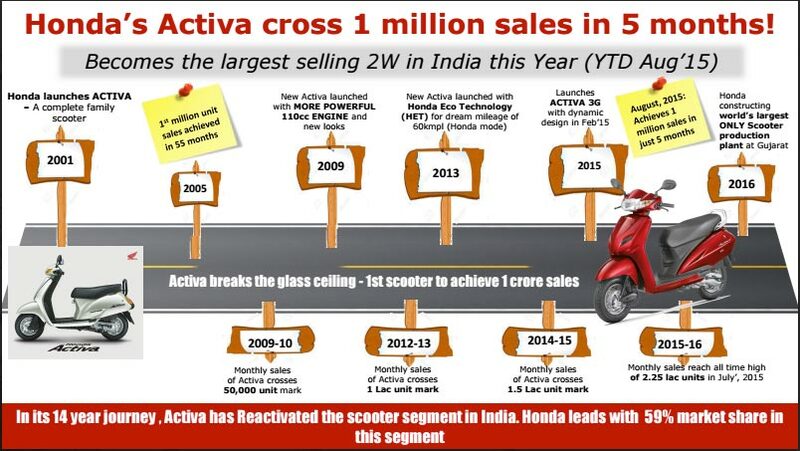 Activa alone contributes 51% to the scooter segment. Activa sales volume has grown 20 times that of the 2Wheeler Industry which has remained flat so far this year in April to August, 2015. By adding an incremental 1.6 lac units sold over last year, Activa has single-handedly given a boost to the entire 2Wheeler industry at a time when rural purchase sentiments are muted. Securing No.1 position thrice in a row in FY’15-16, Activa sold a total of 2.17 lac units in August, 2015. We are excited to have started the festive season on a high note, with Activa creating a hat-trick as the No. 1 selling 2-wheeler of India for 3 consecutive months. From reactivating the scooter segment in India in 2001, Honda’s iconic Activa has slowly started penetration in rural India. Further, with the improvement in rural infrastructure in future we expect that scooter contribution has the potential to go up further. Overtaking motorcycles to become No. 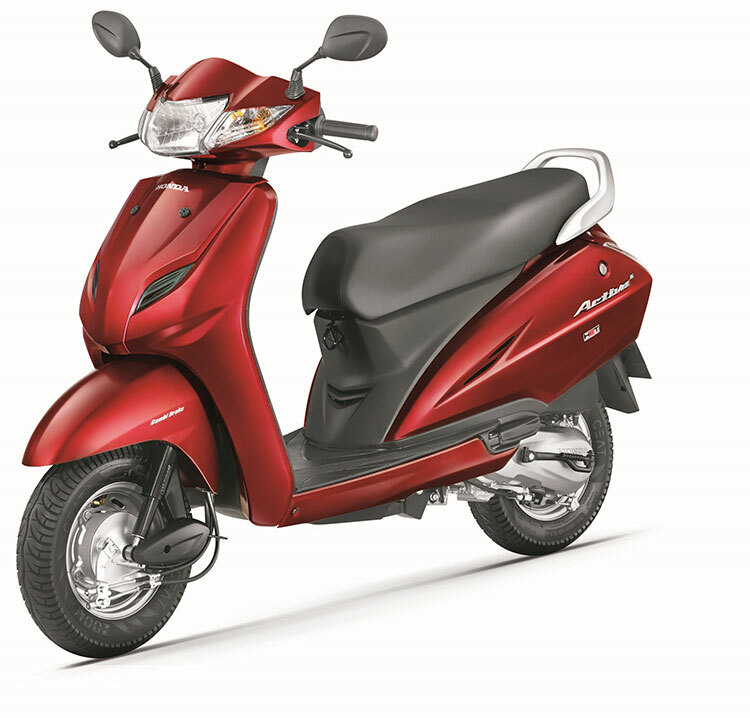 1 selling two-wheeler of India, Activa today represents the metamorphosis of the society. The superior convenience, unisex appeal coupled with product features (increased mileage, style and technology) have helped convert millions from pillion to riders themselves. Our great nation is truly under the grip of Activation & we thank all our valued Customers on this Activah vah moment.